The 1995–96 NBA season was the 50th season of the National Basketball Association (NBA), though the 50th anniversary was not celebrated until the following season. The Chicago Bulls defeated the Seattle SuperSonics 4 games to 2 in the NBA Finals to win their fourth championship. The 1995 NBA lockout was the first lockout of four in the history of the NBA. When the previous collective bargaining agreement expired after the 1993–94 season, a no-strike, no-lockout agreement was made in October 1994, with a moratorium on signing or restructuring player contracts. That moratorium expired on June 15, 1995, one day after the NBA Finals concluded. 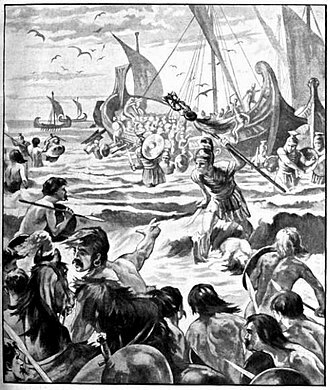 The expansion draft (which was held on June 24) and the NBA draft (which was held on June 28) were allowed to take place, but all other league business, including trades, free-agent signings, contract extensions, and summer leagues were suspended from July 1 until September 12; no games were lost due to the lockout, as a new collective bargaining agreement was reached well before the start of the 1995–96 season. 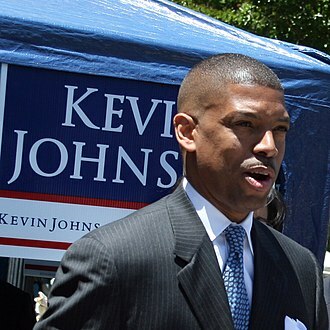 Among the key issues in the labor dispute were the salary cap, free agency, a rookie salary cap, and revenue sharing. The NBA established its first Canadian teams, as the Toronto Raptors and the Vancouver Grizzlies made their debuts as the NBA's 28th and 29th franchises. 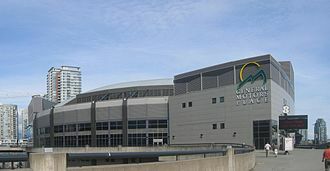 The Grizzlies began play at GM Place (now Rogers Arena) as a member of the Midwest Division while the Raptors set up shop at the SkyDome (now Rogers Centre) as a member of the Central Division. Each franchise won its first game, although Toronto would only win 21 games in the season, and Vancouver 15 games. The Chicago Bulls finished the season with a combined regular season and postseason record of 87-13, the best in NBA history. Prior to the start of the NBA Playoffs, the Bulls shocked the basketball world by wearing black socks, claiming this as redemption to the city's most infamous sports moment, the Black Sox Scandal of 1919. The socks would become a Bulls playoff tradition, which other teams soon follow. However, this was not the first time a team or a particular player wore black socks; earlier in the season, Orlando Magic forward Dennis Scott wore black socks while competing in the AT&T Three-Point Shootout at NBA All-Star Weekend. The Miami Heat hired Pat Riley as the team's new head coach and president of basketball operations. Riley's first moves were the acquisition of Alonzo Mourning from the Charlotte Hornets for Glen Rice, and the trade for Tim Hardaway from the Golden State Warriors for Kevin Willis. Hardaway and Mourning would turn the struggling Heat into contenders in the coming seasons. NBA debuts for four future All-Stars Kevin Garnett, Michael Finley, Rasheed Wallace and Jerry Stackhouse. Toronto Raptors point guard Damon Stoudamire won Rookie of the Year. Michael Jordan became the only player to win the NBA Finals MVP Award at least four times. He would also become the second player to earn the MVP trophy since Willis Reed in 1970, having won All-Star, Regular Season and Finals MVP in the same season; an achievement he also accomplished in 1998, and later on by Shaquille O'Neal in 2000. Michael Jordan won his NBA record 8th scoring title. The Boston Celtics played their first game at the FleetCenter (now TD Garden). The 1996 NBA All-Star Game was played at the Alamodome in San Antonio, with the East defeating the West 129–118. Michael Jordan of the Chicago Bulls was named the game's MVP. Los Angeles Clippers guard Brent Barry won the Slam Dunk Contest. Referees were locked out to begin the season, but reached an agreement to return to work in December 1995. Magic Johnson comes out of retirement to play in 32 games for Los Angeles before retiring again at the end of the season. The Philadelphia 76ers play their final game at The Spectrum. At the time, it was named the CoreStates Spectrum; the CoreStates name was later added on their future home arena under construction at the time. The 76ers would return to the renamed Wachovia Spectrum for a farewell game in the 2008–09 season before its eventual demolition. Hakeem Olajuwon passed Kareem Abdul-Jabbar as the all-time leader in blocked shots in the last game of the season. John Stockton also became the all-time steals and assists leader, passing Maurice Cheeks and Magic Johnson, respectively. Robert Parish also passed Abdul-Jabbar for the most games played in the NBA. Portland Trail Blazers' longest sellout streak by any team in professional sports ends at 814, during which the team played its first season at higher-capacity Rose Garden, now the Moda Center. The Sacramento Kings made their first playoff appearance since 1986. The Atlanta Hawks changed their logo and uniforms. The road jerseys were both red and black faded together. The Chicago Bulls got new black alternate uniforms with pinstripes. The Houston Rockets changed their logo and uniforms, adding pinstripes to their jerseys and navy to their color scheme. The Miami Heat added new red alternate uniforms. The Milwaukee Bucks added new green alternate uniforms. The New York Knicks added the "New York" script to their logo, and got new blue alternate uniforms with black on the side of their jerseys. The Portland Trail Blazers moved into the Rose Garden. The Seattle SuperSonics changed their logo and uniforms, replacing their primary green and yellow colors with dark green and red. The expansion Toronto Raptors got a new logo and new pinstripe uniforms, adding purple and red to their color scheme. The expansion Vancouver Grizzlies got a new logo and new uniforms, adding teal and brown to their color scheme. 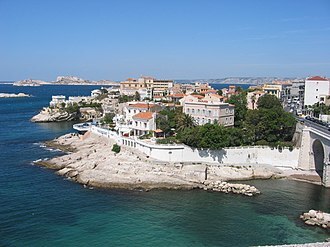 ^ a b Brown, Clifton. "1995 NBA playoffs; NBA. Talks resume as lockout looms. "The New York Times, Houston, 13 June 1995. Retrieved on 2 June 2015. ^ Friend, Tom (June 15, 1995). "Stern Says Labor Deal Could Be Struck Soon". The New York Times. Retrieved November 17, 2011. ^ Brown, Clifton (June 13, 1995). "NBA Talks Resume as Lockout Looms". The New York Times. Retrieved November 17, 2011. ^ "NBA Lockout Chronology". CNN Sports Illustrated. Time Warner Company. January 6, 1999. Retrieved November 17, 2011. ^ "10 Game-Changing Pro Sports Lockouts and Strikes – National Basketball Association (1995)". CNBC.com. CNBC LLC. Retrieved November 17, 2011. 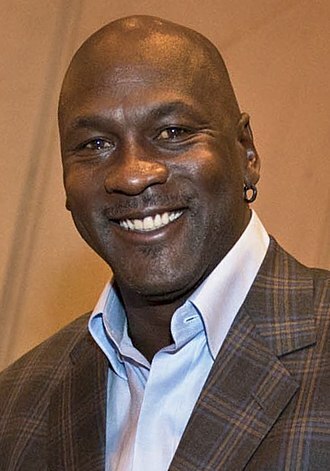 Michael Jeffrey Jordan, known by his initials, MJ, is an American retired professional basketball player and principal owner and chairman of the Charlotte Hornets. Jordan played 15 seasons in the National Basketball Association for the Chicago Bulls and his biography on the NBA website states, By acclamation, Michael Jordan is the greatest basketball player of all time. Jordan was one of the most effectively marketed athletes of his generation and was considered instrumental in popularizing the NBA around the world in the 1980s and 1990s, Jordan played three seasons for coach Dean Smith at the University of North Carolina. As a freshman, he was a member of the Tar Heels national championship team in 1982, Jordan joined the Bulls in 1984 as the third overall draft pick. He quickly emerged as a star, entertaining crowds with his prolific scoring. His leaping ability, demonstrated by performing slam dunks from the throw line in slam dunk contests, earned him the nicknames Air Jordan. He gained a reputation for being one of the best defensive players in basketball, in 1991, he won his first NBA championship with the Bulls, and followed that achievement with titles in 1992 and 1993, securing a three-peat. 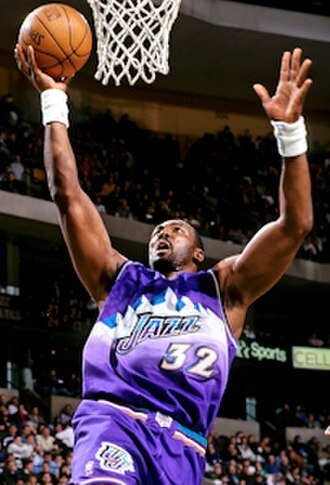 Jordan retired for a time in January 1999, but returned for two more NBA seasons from 2001 to 2003 as a member of the Wizards. Among his numerous accomplishments, Jordan holds the NBA records for highest career regular season scoring average and highest career playoff scoring average. In 1999, he was named the greatest North American athlete of the 20th century by ESPN and he became a member of the FIBA Hall of Fame in 2015. Jordan is known for his product endorsements and he fueled the success of Nikes Air Jordan sneakers, which were introduced in 1985 and remain popular today. Jordan starred in the 1996 feature film Space Jam as himself, in 2006, he became part-owner and head of basketball operations for the then-Charlotte Bobcats, buying a controlling interest in 2010. In 2015, Jordan became the first billionaire NBA player in history as a result of the increase in value of NBA franchises and he is the third richest African American, behind Oprah Winfrey and Robert F. Smith. Jordan was born in Brooklyn, New York, to Deloris, who worked in banking and his family moved to Wilmington, North Carolina, when he was a toddler. Paul Douglas Westphal is an American retired basketball player and a former head coach with several National Basketball Association and college teams. Westphal has had a career in the NBA, both as a player and as a coach. 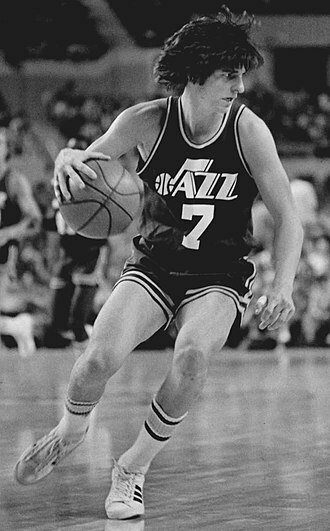 As a player, he won an NBA championship with the Boston Celtics in the 1974 NBA Finals, in addition to being a five-time All-Star selection, from 1977 to 1981, Westphal earned three All-NBA First Team selections and one Second Team honor. Later, he returned to the Finals in 1993 as head coach of the Phoenix Suns and he returned to his home state of California when he was the mens basketball head coach at Pepperdine University from 2001 to 2006. Westphal is an assistant coach on Lionel Hollins staff on the Brooklyn Nets. Westphal was born in Torrance, California and he went to Aviation High School and USC. He was the 10th overall pick in the 1972 NBA draft by the Boston Celtics, after three seasons in Boston, including a championship in 1974, he was traded to the Phoenix Suns. In 1976, Westphal helped the Suns reach their first-ever NBA Finals appearance, Game 5 of that series is often called the greatest game ever played in NBA history. With time winding down in regulation and the Suns trailing 94–91, Westphal poked the ball away from Jo Jo White, took a pass from Dennis Awtrey. He was fouled on the play and hit the free throw to tie it at 94–94, in the second overtime, with 15 seconds left and the Suns trailing 109–108 after just making a basket, Westphal stole the ball from John Havlicek after Havlicek received the inbounds pass. 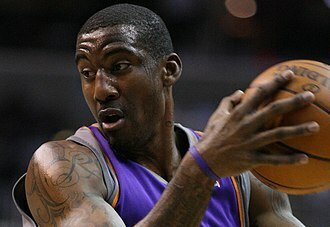 This began a chain of events culminated with Curtis Perry hitting a jumper to give the Suns a 110–109 lead. After the Perry basket and a Celtics timeout, Havlicek got the ball with five seconds left, the buzzer sounded and Celtic fans poured on the floor, thinking the Celtics had won. However, referee Richie Powers correctly ruled that Havliceks shot went through the basket with two left on the clock. A technical foul was assessed, the Celtics made the subsequent free throw, the resulting timeout call allowed Phoenix to inbound the ball at midcourt, rather than go the full length of the court. The New York Knickerbockers, commonly referred to as the Knicks, are an American professional basketball team based in New York City. The Knicks compete in the National Basketball Association as a club of the Atlantic Division of the Eastern Conference. The team plays its games at Madison Square Garden, located in the borough of Manhattan. They are one of two NBA teams located in New York City, the other is the Brooklyn Nets, along with the Boston Celtics, the Knicks are one of only two original NBA teams still located in its original city. The Knicks were successful during their years and were constant playoff contenders under the franchises first head coach Joe Lapchick. Beginning in 1950, the Knicks made three appearances in the NBA Finals, all of which were losing efforts. Lapchick resigned in 1956 and the team began to falter. It was not until the late 1960s when Red Holzman became head coach that the Knicks began to regain their former dominance, Holzman successfully guided the Knicks to two NBA championships, in 1970 and 1973. The Knicks of the 1980s had mixed success that included six playoff appearances, the playoff-level Knicks of the 1990s were led by future Hall of Fame center Patrick Ewing, this era was marked by passionate rivalries with the Chicago Bulls, Indiana Pacers, and Miami Heat. During this time, they were known for playing tough defense under head coaches Pat Riley, during this era, the Knicks made two appearances in the NBA Finals, in 1994 and 1999, though they were unable to win an NBA championship. Since 2000, the Knicks have struggled to regain their former glory, in 2012–13, the franchise won its first division title in 19 years, but was eliminated in the second round of the playoffs by the Indiana Pacers. According to a 2016 Forbes report, the Knicks were the most-valuable NBA franchise, in 1946, particularly college basketball, was a growing and increasingly profitable sport in New York City. 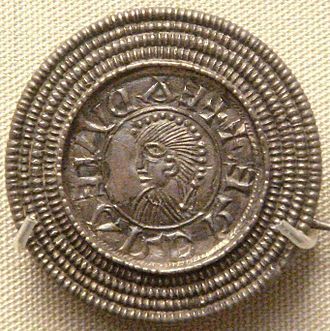 Hockey was another sport at the time and generated considerable profits, however. Max Kase, a New York sportswriter, became the editor at the Boston American in the 1930s. The Boston Celtics are an American professional basketball team based in Boston, Massachusetts. The Celtics compete in the National Basketball Association as a club of the leagues Eastern Conference Atlantic Division. Founded in 1946 and one of eight NBA teams to survive the leagues first decade, the Celtics play their home games at the TD Garden, which they share with the National Hockey League s Boston Bruins. The franchises 17 championships are the most of any NBA franchise, as a percentage of championships won, the Celtics are the most successful franchise to date in the major four traditional North American professional sports leagues. The Celtics have played the Lakers a record 12 times in the Finals, including their most recent appearances in 2008 and 2010, four Celtics players have won the NBA Most Valuable Player Award for an NBA record total of 10 MVP awards. Their mascot Lucky the Leprechaun is a nod to the teams Irish heritage, in 1950, the Celtics signed Chuck Cooper, becoming the first NBA franchise to draft a black player. The Celtics struggled during their years, until the hiring of coach Red Auerbach. In the franchises early days, Auerbach had no assistants, ran all the practices, did all the scouting—both of opposing teams and college draft prospects—and scheduled all the road trips. One of the first great players to join the Celtics was Bob Cousy, Cousy eventually became the property of the Chicago Stags, but when that franchise went bankrupt, Cousy went to the Celtics in a dispersal draft. After the 1955–56 season, Auerbach made a stunning trade and he sent perennial All-Star Ed Macauley to the St. Louis Hawks along with the draft rights to Cliff Hagan in exchange for the second overall pick in the draft. Auerbach acquired Holy Cross standout, and 1957 NBA Rookie of the Year and Heinsohn worked extraordinarily well with Cousy, and they were the players around whom Auerbach would build the champion Celtics for more than a decade. With Bill Russell, the Celtics advanced to the NBA Finals and defeated the St.
Tom Meschery and Bob Rule during the SuperSonics expansion season. Lenny Wilkens with the SuperSonics. Over most of the franchise's history, Seattle played its home games at Key Arena. George Karl served as Seattle's head coach for six seasons (1992–1998). Chuck Daly, coach of the 1989 and 1990 NBA champions. 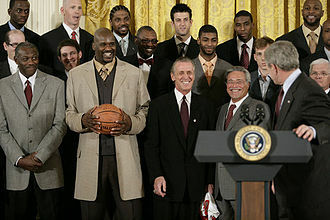 The Pistons are honored at the White House for the team's victory in the 2004 NBA Finals. Little Caesars Arena in 2018. Sir Slam A Lot was the mascot of the Pistons from 1994 to 1996. Lapchick was responsible for leading the Knicks during their early success. However, these ventures never culminated with a win in the NBA Finals. The current version of Madison Square Garden has been the home of the Knicks since 1968. Bill Russell (left) won the award five times in his NBA career. 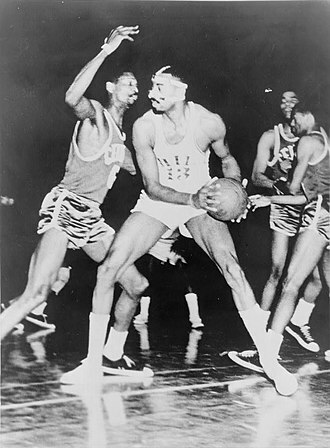 Wilt Chamberlain (center) won the award four times in his career. 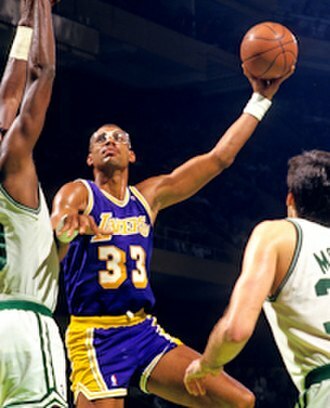 Kareem Abdul-Jabbar won the award a record-setting six times in his career. Michael Jordan won the award five times in his career.